The stalemate saw heated arguments between the opposition and the government, forcing Deputy Chairman Harivansh Narayan Singh to adjourn the house for the day. The revised triple talaq bill, which the government is keen on pushing through Parliament, could not be taken up in the Rajya Sabha on Monday as the opposition insisted on sending it to a select committee. The treasury benches said the passage of the bill is being delayed deliberately. The stalemate saw heated arguments between the opposition and the government, forcing Deputy Chairman Harivansh Narayan Singh to adjourn the house for the day. Both sides accused the other of “doing politics”. When the House met for the post-lunch sitting following an earlier adjournment, the Deputy Chairman said that the House will be taking up the triple talaq bill, passed by the Lok Sabha last week. However, opposition members were on their feet demanding that the bill is sent to the select committee. Leader of Opposition Ghulam Nabi Azad said the government has been disregarding since 1993 the practice of sending important bills to the standing committee for legislative scrutiny. “Since the government does not send such bills to the standing committee, the opposition in the Rajya Sabha is forced to fight for sending them to select committee,” he said. Azad said the bill would affect crores of people in a positive or negative way and its scrutiny by parliament was essential. He said the opposition parties want to move a resolution that the bill should be sent to a select committee. Referring to the protest in the House by AIADMK members over a proposed dam on Cauvery river, he said 90 per cent of the opposition parties want the House to function. Trinamool Congress member Derek O’Brien said most opposition parties are united in their demand for a select committee and are willing to debate and pass it after due parliamentary scrutiny. He said he had given notice for sending the bill to select committee. Minister of State for Parliamentary Affairs Vijay Goel said that the opposition is delaying the passage of the bill by demanding scrutiny by a select committee. “A message should go to the country that the opposition is creating roadblocks to the passage of the bill. They are not in favour of Muslims. They are not in favour of giving women their rights. They are doing politics,” he said. “We are ready to debate it. The debate should begin now,” he added. As the stalemate persisted, the Deputy Chairman adjourned the House for 15 minutes. When the House reassembled, opposition members were again on their feet, persisting with their demand. Congress leader Anand Sharma said the minister has cast aspersions on the opposition and made false allegations. He said the opposition is not opposed to the bill. “The government is doing politics. Without legislative scrutiny, the bill cannot be passed,” he said. Law Minister Ravi Shankar Prasad said the issue concerns humanity. 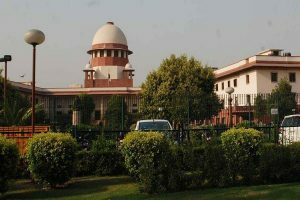 “Triple talaq is taking place despite Supreme Court outlawing it. The bill should not be delayed. The government is willing to consider suggestions of the opposition,” he said. 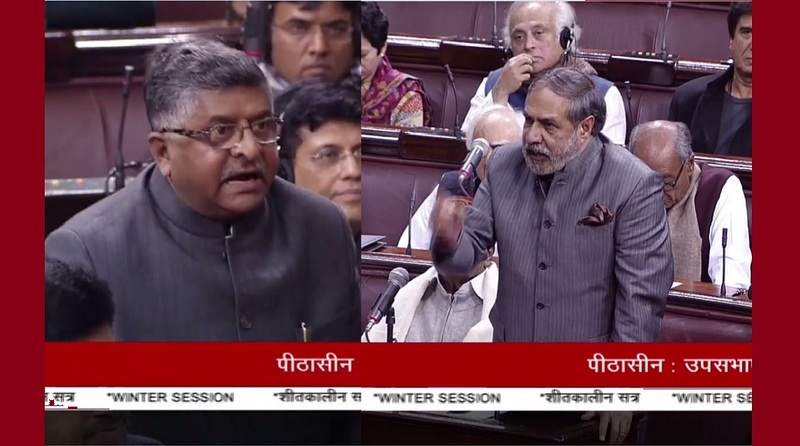 Harivansh had earlier expressed his anguish over repeated adjournments of the House, saying the entire country is watching. He said people are seeing that Lok Sabha is conducting its business but the upper house is not functioning.